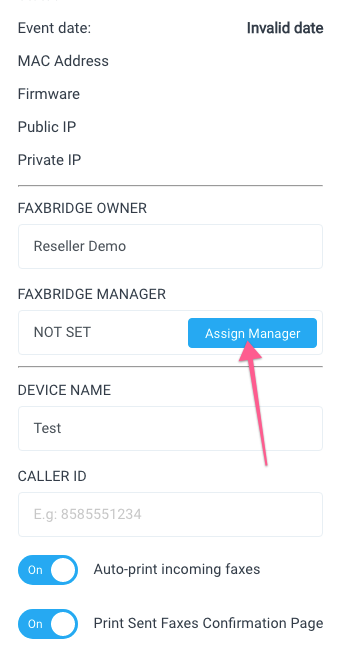 Go to the FaxBridge module. You can get there by clicking on the fax icon in the main nav then clicking on "FaxBridges" in the subnav. 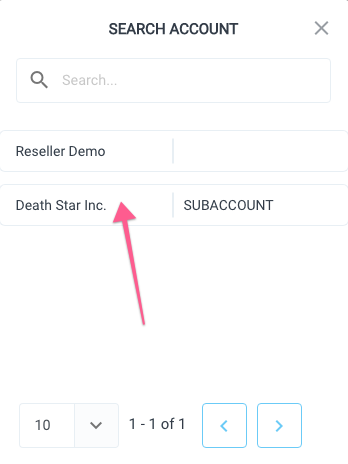 Note: make sure you toggle the dropdown to "Owner" view. Click on the wrench icon of the FaxBridge you wish to assign. 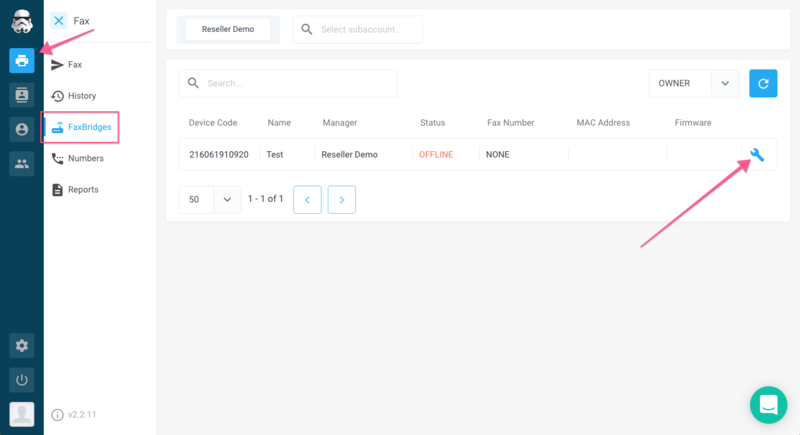 Click the "Assign Manager" button and choose the account you want to assign to the device. If there is already a manager assigned click the "Unassign Manager" button first.